In Western Australia, where I’m based, it doesn’t snow. It’s a shame, because I love snow! 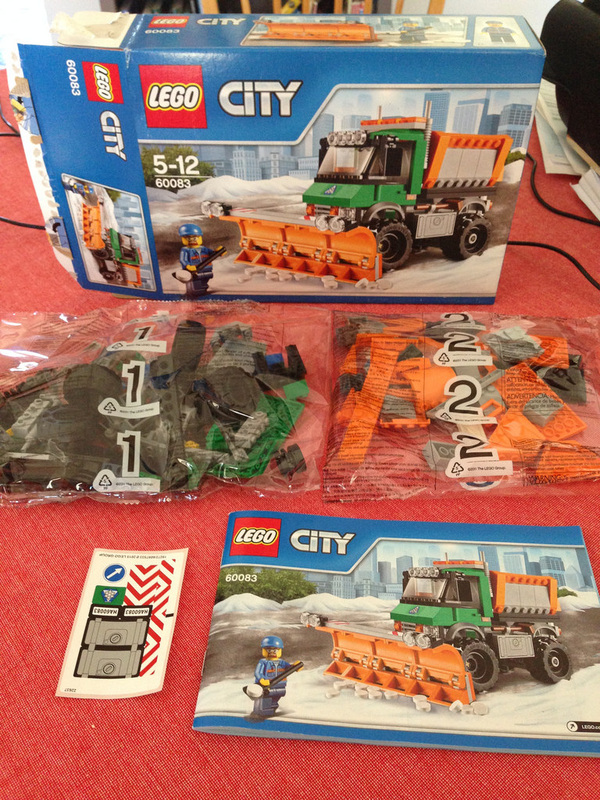 In order for me to get my snow fix, I’ve resorted to this set. 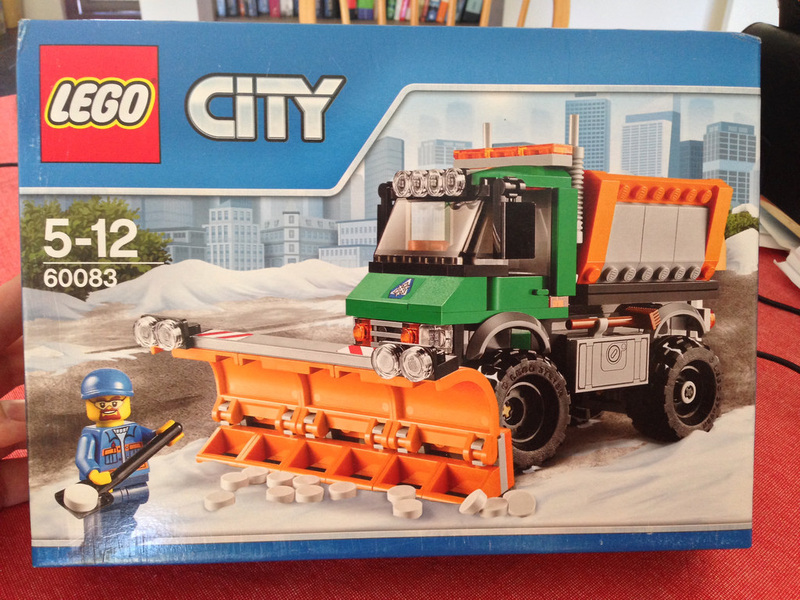 The snowplough vehicle is pretty unique to LEGO. There’s never been a set like it, and I’m really impressed. There’s a fair bit to like about this set. This set introduces some parts in a new colour (bright orange), and a new part altogether! 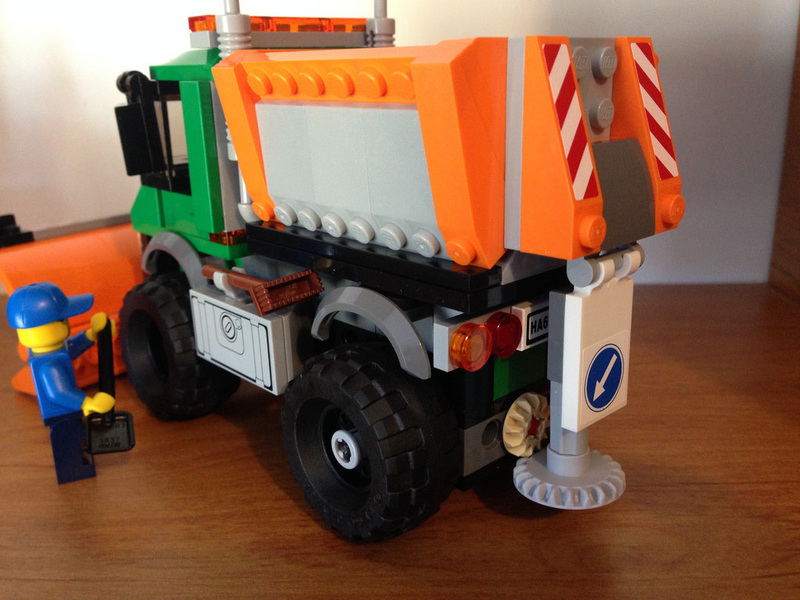 The new coloured parts are the 1x4x1 roof tile (you get six), two 4×8 plates,, and the end piece for truck body. This piece is also found in 60075: Excavator and Truck, but in yellow. Either way, it’s a first for this year! The one piece that this set introduces to the LEGO world is the 3x4x3 bowed wall. You get three in the set, so it’s worth picking up. There are a lot of other parts that are found in pretty much every City vehicle, but the ones that are unique are great to have. 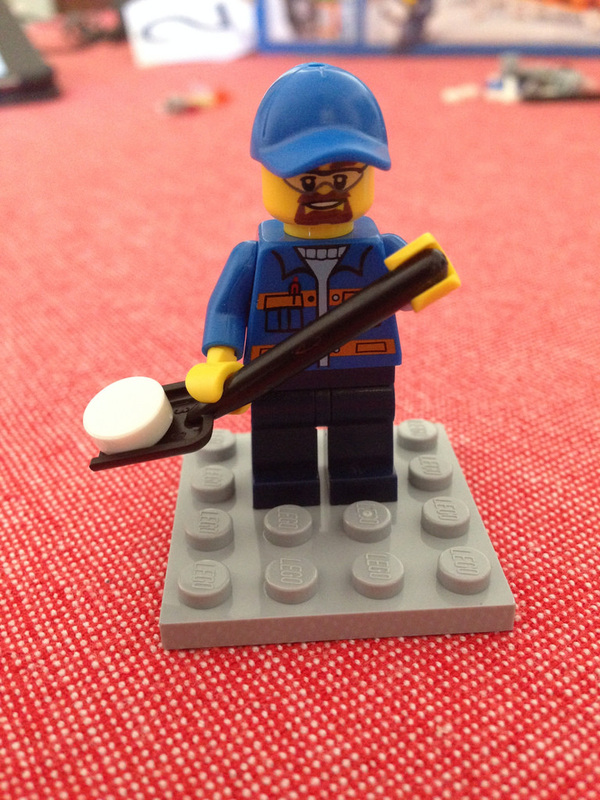 The minifigure is a simple goatee and glasses guy in a jacket and hat. No gloves though – I think this little guy would be pretty cold, considering his job! He should probably get changed into one of the big hoods from the recent Arctic sets. 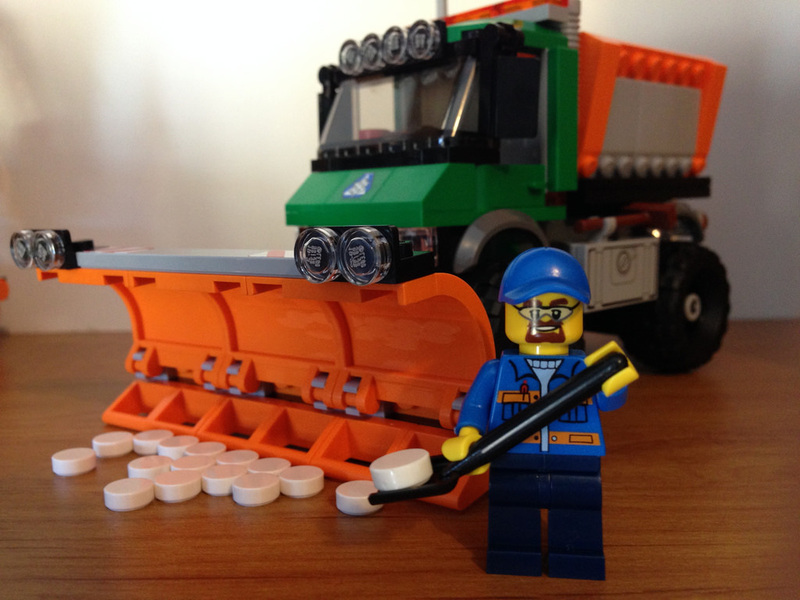 His accessories include a shovel and a broom, to clean up any snow the truck has missed. They clip nicely on to the top of the fuel tanks on either side of the truck. Not much special with this lot of spares. 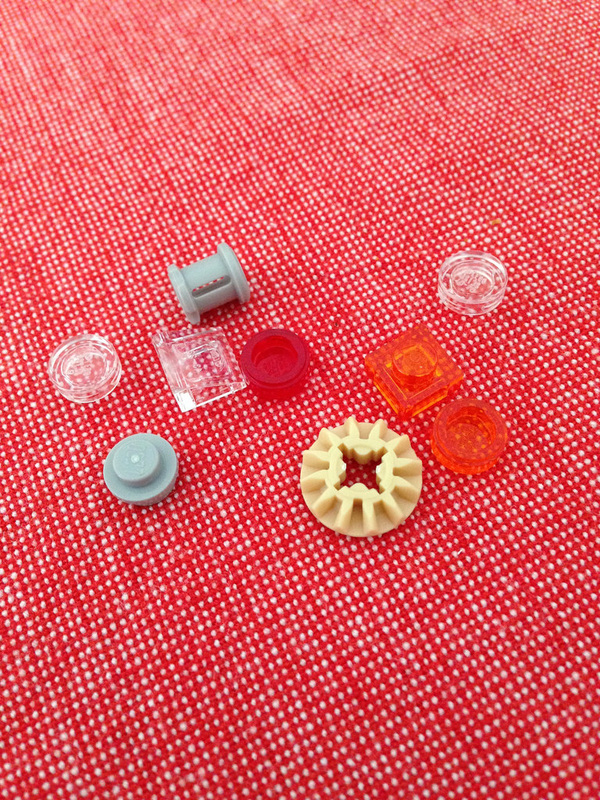 Mainly transparent items, but you do get a spare conical wheel and axle bush. Build-wise, it’s pretty simple, with a couple of Technic elements thrown in for the salt-spreader mechanism at the back. You’ll need to be careful when fitting the tyres, as they’re not reversible. They have holes in the side of the tread that’s meant to be hidden, so if you can see holes along the side of the tyre, they’re on wrong, and may not spin properly. There are a lot of stickers for a relatively small set, which is a shame. It’s pretty common to have a sheet of stickers with City vehicles, but 12 seemed a bit excessive to me. The great part of the build has got to be the snowplough itself. It’s very poseable, and looks great. It really sets the vehicle apart from the rest of the City fleet. It’s a shame the bucket isn’t tippable, but that can be added with a few modifications. This set gets 7 out of 10 snowballs. There’s mechanics, moving parts, big tyres and nice colours, but it gets let down with the stickers, wrongly paired minifigure (and only one of them!) and non-tippable bucket. Next on the list of reviews will be 21301: Birds from the LEGO Ideas range. So, do you have this set? What do you think about it? Do you agree with my comments? Let me know in the comments below.